Jud Tile was voted Favorite Service Provider by readers of The Washington Post. We earned an International Design and Installation Award for a renovation project in the DC international community. We are a long standing member of the National Association of the Remodeling Industry. The benefits of using trusted remodelers with 40 years of experience are obvious, but with Jud Tile, you also have access to our talented, qualified design and sales staff. When you visit our showroom, someone is always here to answer your questions, give industry advice, or introduce you to the latest products. We have in-house capability to design your kitchen remodel using 20/20 CAD software. This allows you to visualize your new space in plan, profile, and 3-D views with 360-degree rotation, and is included with all kitchen remodel jobs. Our mission is to provide 100% customer satisfaction. The majority of Jud Tile’s business is from returning customers, or referrals from past customers who loved the job we did. We don’t rest until you have the bath, kitchen, or project of your dreams! 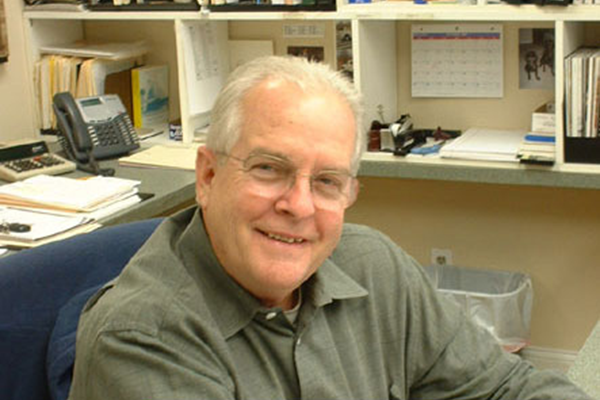 Jud Robertson is the namesake behind his family owned and operated business. He and his wife, Linda, have built Jud Tile from the ground up. Now, for over four decades, they have had a front seat in the Washington Metropolitan Area tile industry. Jud and Linda began selling tile in 1965 in what was once a niche market. Over the years, they have steadily grown the business into a major source of design and home remodeling. They combined their expertise in ceramic, porcelain, natural stone, and glass tile with that of skilled designers and tradesmen to transform Jud Tile into what it is today. Today, the business includes a full staff of designers, master tile setters, carpenters, electricians, plumbers, and sales consultants all of which work together on each remodeling project to achieve unsurpassed results. Jud personally oversees each construction project and does not accept anything less than perfect. 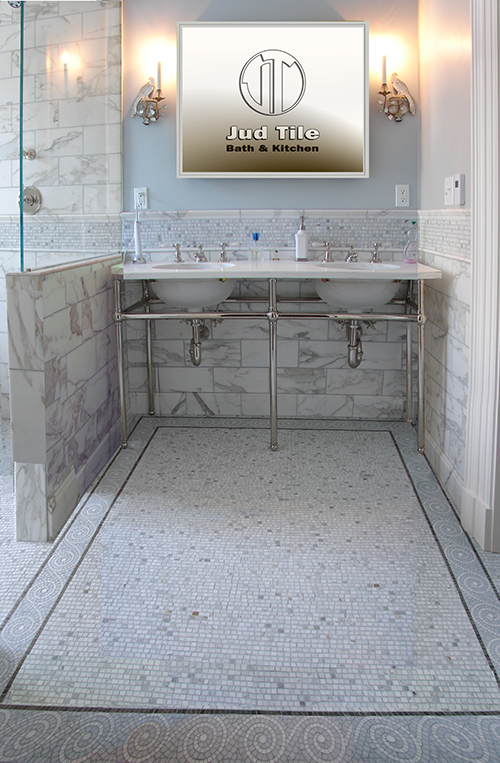 This blending of Jud and Linda’s expertise in porcelain, stone, and glass tile, with the expertise of their designers and master tradesmen has made Jud Tile an industry standard in the tile and home remodeling business. Our central location in downtown Vienna, makes it convenient for our local customers to stop in, sometimes just to say ‘hi’ and see what is new. It is not unusual for someone to come by and ask if Jud or Linda are still here. Only to find out that they are a customer from 30 years ago, still loving their bathroom or floor that we remodeled, and want to tell Jud and Linda that. So, if you haven’t been by in a while, stop in and see what is new!